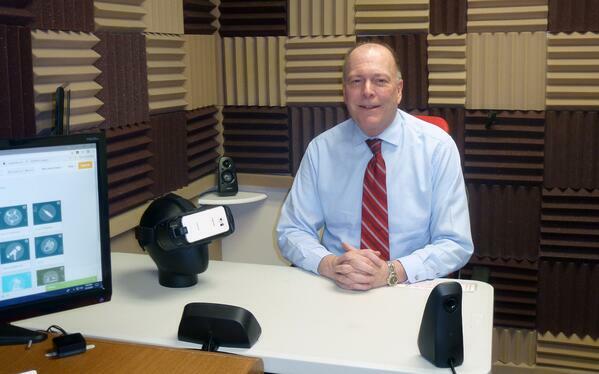 Today we had the pleasure of talking with Dr. Terry Alan Hayes from Cranberry Counseling & VRLab. Dr. Terry Hayes is a licensed psychologist and health service provider in the state of Massachusetts with 30 years of experience. He attended St. Louis University in Missouri where he graduated with his master's degree and doctoral degree. He began his private practice shortly after in Marshfield, Massachusetts. Dr. Hayes introduced Virtual Reality last June as a treatment method into his clinical practice. Since then he’s set up his practice with a Virtual Reality lab so that he can provide services to children and adolescents for their fears and phobias. Thank you Terry for agreeing to do this interview. First of all, how did you hear about Virtual Reality? The technology has spread now into the civilian, bringing exciting opportunities that were very attractive to me in terms of being able to provide immersion therapy in a fun format and in a quick effective style that would be enjoyable. Why did you decide on Psious? I chose Psious, a Spanish and American based company, because of my review of their software and it's comparison to other software providers. I found the company to be very friendly, cooperative and motivated in helping me succeed. I also believe your company has more environments to choose from as a practitioner so that I have more choice for interventions, especially environments that are applicable to children and adolescents. I think the 3D graphics are amazing and it's in a format that's comfortable for children and is actually exciting for them. Which is different than the usual approach to therapy of children with anxiety disorders. I also think that the choice of environments as well as hierarchies it is tremendous so that it provides the clinician with creativity and imagination and no limits on how those could be applied to helping our clients deal with their anxieties and phobias. 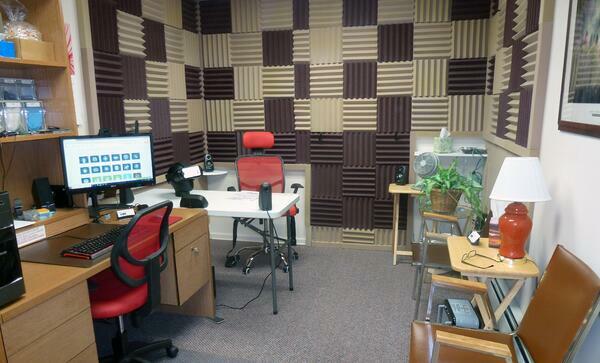 At the same time, it was very appealing to me the use of biofeedback coupled as part of their software and hardware. I would also mention two other big pluses. First of all, it is great that they offer all sorts of free marketing materials - printed and digital - and strategies for using them. And Psious has also agreed about providing free online training for their product and when new environments come out. What type of disorders or patients do you use it with? 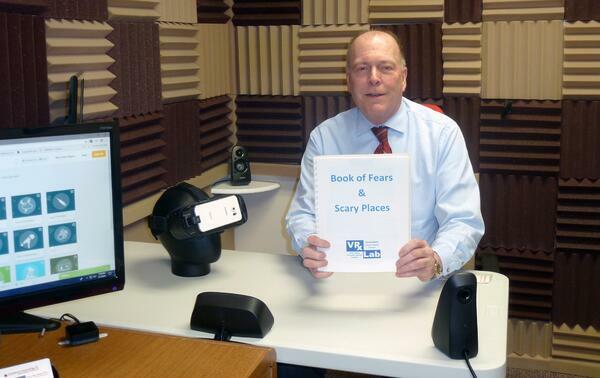 I have my Book of fears and scary places that I put together with the materials that you provided me. This is excellent for clinical education materials for our new clients. And I did select, since I'm a child and adolescent specialist, the environments that I think would be most useful to me in that population and that includes the fear of Darkness, the fear of animals - both insects and dogs-, the fear of heights, fear of closed spaces and elevators, fear of public spaces, fear of the metro. For older teens I offer a fear of driving, fear of test taking. And certainly fear of driving is in demand. And I do offer training in mindfulness and relaxation as part of the treatment interventions as well. Can you tell us how VR works for you? In case you can't tell I'm clearly impressed with the Psious platform and how I've been able to use it in my clinical practice. It's a very straightforward software and it's easy to customize the software for interventions with any clients specific needs. The hierarchies to be chosen from are very creative and useful and the combinations are really endless and up to the creativity of the provider. I also think it's really smart and very useful on a clinical as well as a marketing level. To include biofeedback and reports about what's been done printed that can be given to a client at the end of each session. I think these two elements improve the effectiveness of the tool in the clinical use and change and the endurance of the change that it produces. What about your patients? What do they think about the tool? The fact that this tool can be used to help a child or an adolescent master their phobia or fear in a few sessions is quite remarkable and the fact that kids enjoy it is a really pleasant surprise. It makes it kind of easy to work with a population that is notoriously difficult because they want to avoid any kind of anxiety situation in general. Ten of my clients volunteered to give me feedback about what the experience was like. 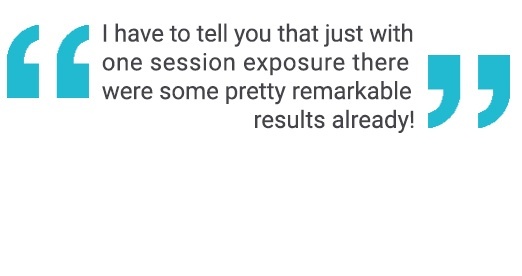 I have to tell you that just with one session exposure there were some pretty remarkable tales already. One person dealing with the fear of needles said that they had never looked at an extraction before and after they were encouraged about doing so in the future. One child who was worried about trains took the metro and was able to actually master that the first time she took a train. And she was very proud to report that she handled it using strategies that she learned in that one session. Its also been applied to an adult as well as a child in their fear of dogs. Both were impressed with themselves as well as with the software and how much they were able to handle and how much better they felt afterwards. Has it been worth the investment? That's a good question! And it's probably a little soon to tell but I'm pleased so far because the amount of money required to set up these services and a practice is very small. It probably takes a little more time to make sure that you've got the environment and to have the support and administrative procedures ready to go. Learning the program is relatively easy, fast and straightforward. Psious does offer, as I said, online learning experiences to help with that. Would you recommend the Psious Virtual Reality platform? 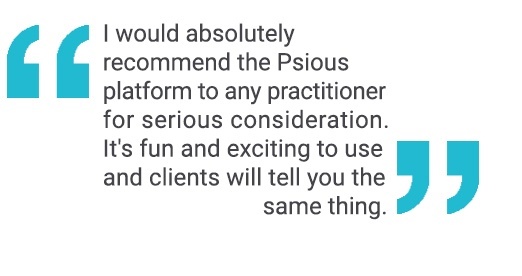 I would absolutely recommend the Psious platform to any practitioner for serious consideration. It's fun and exciting to use and clients will tell you the same thing. The company is friendly, supportive and responsive to any needs that I might have or asked about. The effectiveness of the Psious platform and the Virtual Reality exposure immersion therapy is really impressive. It works and it works quickly and it's a very pleasant experience. To finish the interview, can you tell us about your VRx Lab? I've been speaking to you from the client seating area in my VRx lab. I did want to enhance the experience of immersion so I went beyond headphones to create an environment in this room, which has surround sound and it has sound-deadening acoustic tiles that are both functional as well as pleasantly aesthetic. All of this allows me to be able to actually enter into the immersion environment with my client, because there's no barrier of listening and they can talk with me as though I were there with them. And one other thing I wanted to show is my client chairs. Since I worked with kids, some small, they do have a tendency to want to get up and wander with the VR equipment on (which is not a very good idea, not really safe), so I did install a seat belt. It's also useful for the driving or the flying environments as well. It does have elevations so that it's important for kids feet to touch the floor and not be floating up in space. During the interview, Dr. Hayes also showed us other parts of his practice such as the waiting room and lobby, where he uses the marketing tools that we provide to explain and advertise Virtual Reality. 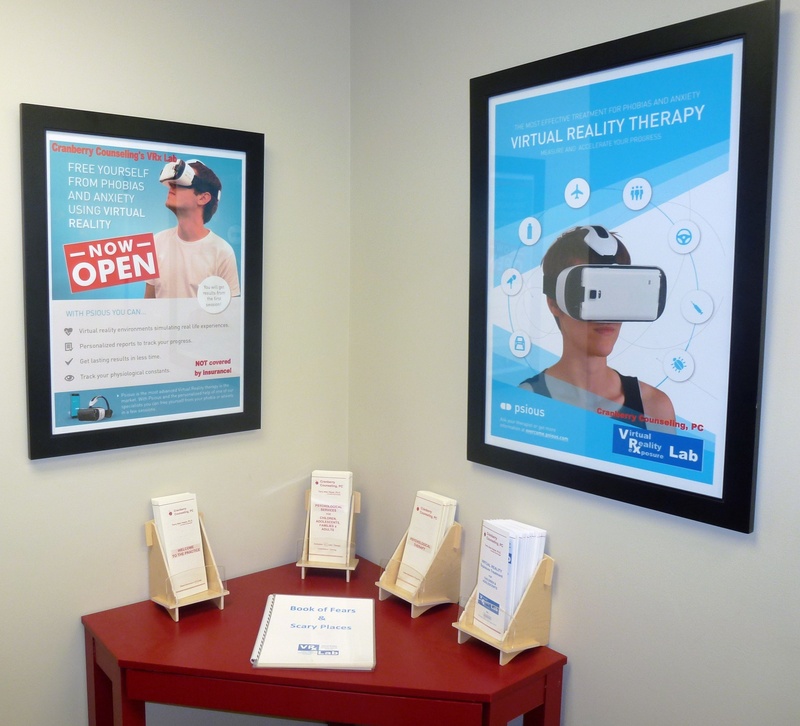 Another marketing tool that I use to promote VR services in my practice is a digital photo frame which I have mounted in my waiting room. 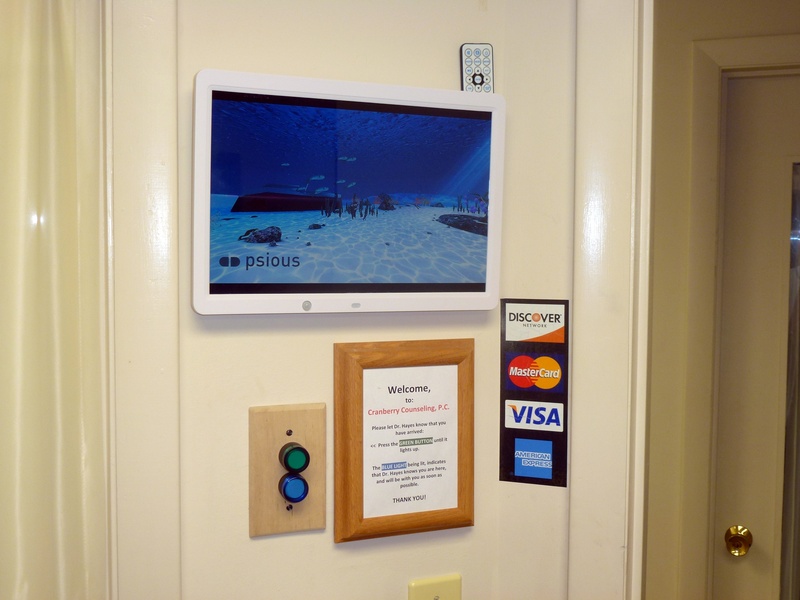 It's a very easy way to give visual exposure to clients who may be in the waiting room about what's offered. It has Psious assisted marketing materials as well as environment samples so that people could be able to see what the 3D graphics are actually really like. It's a very inexpensive tool and it's a very useful one. This is the lobby with the entrance to my primary counseling private practice, as well as the VRx lab. And I was able to put some marketing materials that I was able to use from Psious here. Two posters as well as a brochure that I have developed and my Book of fears and scary places. And these were available for both my customers as well as other customers that may be entering the building for other services. If you want to contact Dr. Terry Hayes you can find all the information on VRLab & Cranberry Counseling websites or contact him directly by email at terry@vrxlab.net. 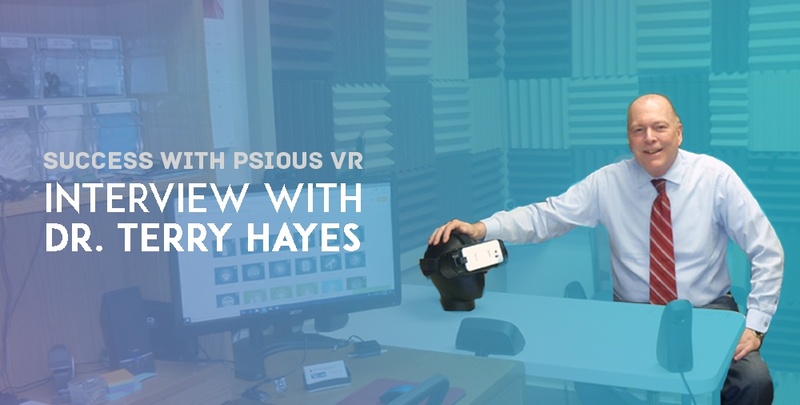 Do you want to join Terry Hayes and start using VR in your private practice? Leave us your contact details in the form below!